Recycling rocks, but it doesn't have to be limited to separating your papers and plastics. 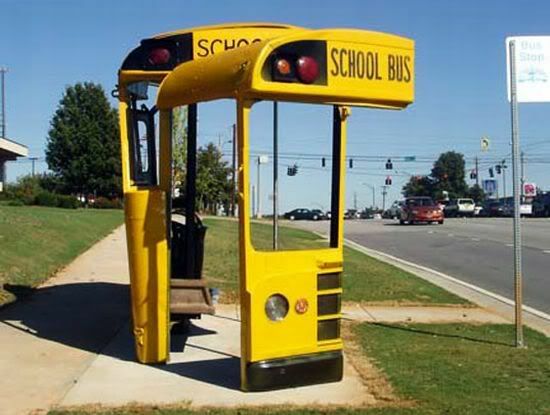 Not only is this a practical way to "dispose" of an old school bus that can no longer be used, but it's also a creative way to reduce having to use new materials to build new bus stops. You remember the old "reduce, reuse, and recycle" slogan, right? Perfect example right here. That is a really neat idea! It is strangely artistic as well. The same thing should also be done with traditional bus stops.